Water was the theme yesterday morning - lakes to be exact. I had a window of opportunity for some local twitching and headed off for Newdigate first thing. I've never been to Newdigate Brick Works before. It's not dissimilar to the Water Colour Lagoons at Holmethorpe, in as much it is an area that has been created specifically as a Nature Reserve and has a new housing development right on its doorstep. If you are a birder and decided to move here, you'd be pretty happy when you opened your curtains every morning. Plenty of birdlife - noisy Canada Geese, Goldfinch aplenty, Greater Spotted and Green Woodpeckers, and although I didn't see one, I would think there would be a Kingfisher or two here. 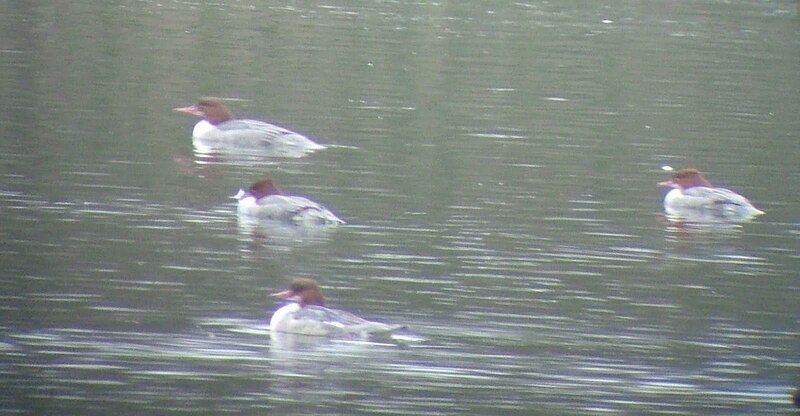 The reason for the visit was for the 20 Goosanders that were still present. Two drakes and 18 females were happily cruising round the lake and after watching them for a while I decided to head for my other morning destination at Hedgecourt Lake near Felbridge. 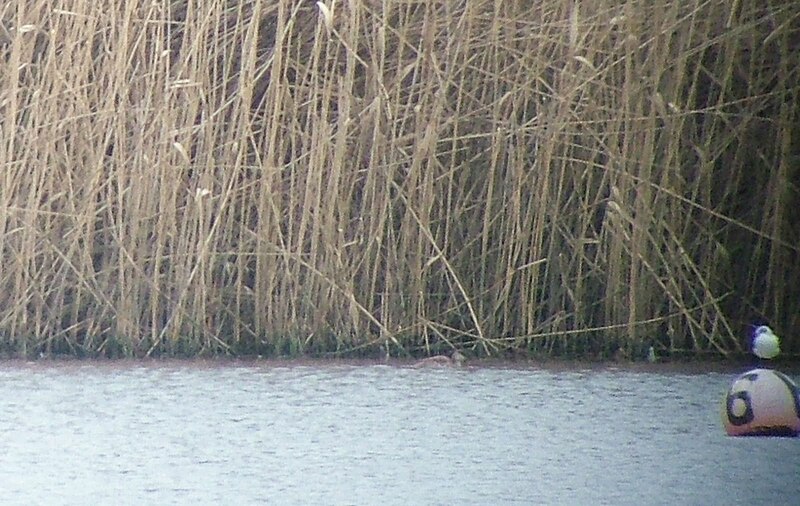 While another Bittern has been seen stationed in the reeds, I didn't see it, but I did see the female Red-crested Pochard. 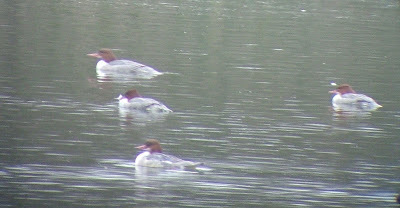 Unlike the regular Red-crested visitors on Frenches Pond in Redhill, this bird is not an escapee. 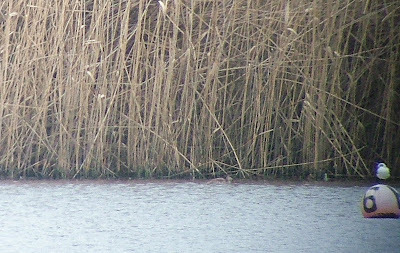 As Johnny Allan noted the day before, it kept to itself most of the time, away from the bread-feeding shoreline nearest the road and was busy diving for food out near the reeds. That was my lot until later in the week. There's still plenty out there I've yet to set eyes on before the clocks go forward in about six weeks time.